On Scene: The 10th Anniversary of 9/11; how will you honor it? The 10th Anniversary of 9/11; how will you honor it? 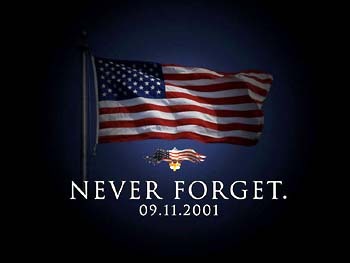 September 11th, 2001...a day we will never, ever forget. When thousands of firefighters, police officers and other emergency responders risked their lives to selflessly save others. A day in this country's history that will always be remembered, always be honored, and will always remind of us how things can change in an instant. 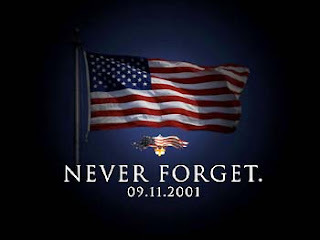 With the 10th anniversary of that September 11th day almost upon us--I ask you this, how will you honor it? How will you stop and remember all of those who were lost in those tragic events, their families, the rescue & volunteer workers, police and firefighters, government officials, and countless others who worked so hard to save them and restore the affected areas? Whether it be a prayer service, a stair climb, a candle-vigil, a blood-drive, commemorative breakfasts or dinners, giving donations, theatrical tributes, or attending special museum events---we want to hear. So tell us, what are YOU doing to remember September 11th? Feel free to leave comments in the comments section below this post or on our Facebook Page.